There are two main sources of cholesterol that can contribute to the need to reduce cholesterol. One is the body itself. The liver is responsible for producing the right amount of cholesterol for normal cell function. The second source is food. Dietary cholesterol is a contributor to high cholesterol, but reducing cholesterol may not be as simple as keeping it out of your diet. It is recommended that you do not consume more than 300 mg of dietary cholesterol a day. 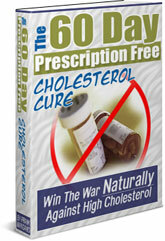 If you already have high cholesterol, then that number should be reduced to no more than 200 mg of cholesterol per day. The cause of high cholesterol in someone could be genetic so food choices alone are not going to have as great an impact. More than dietary cholesterol, fat intake can have a negative impact on overall cholesterol readings and especially LDL cholesterol, which is the bad kind. Trans fats, and saturated fats have a strong negative effect on cholesterol. These types of unhealthy fats should be completely avoided if possible. Fat is a necessary part of a healthy diet, but unsaturated (mono or poly) fats should be the only sources. Trans fat were created to help foods have a longer shelf life and to make them easier to use in cooking and baking. In order to stay within your daily limits of cholesterol intake, consider the amount of cholesterol in each of these foods and possible substitutions. Eggs: 213 mg/egg from the yolk. A good substitute is to use one egg yolk and two more egg whites in omelets or baking. Mayonnaise: 5 mg/tablespoon. Substitute with salad dressing or plain yogurt that is lower in cholesterol. Ice Cream: 25 mg/ ½ cup. Have ½ cup of sherbet. It only has about 5 mg of cholesterol per ½ cup.